For more than 10 years “painting Ulla” has offered persons at the Rehabilitation clinic in Borås a meeting place. 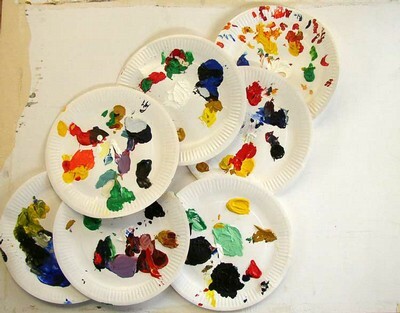 Regularly the artist Ulla Zimmerman get together the wards patients around papers, brushes and coulors. Ulla is the “engine” who helps seriously ill people to find new expressions. The majority of them have language and communication problems. This exhibition is a a collage of more than 350 pictures done lately.